Genesis Sonic the Hedgehog (World, r1) in 14:28.6 by Tee-N-Tee. This is the seventh run of this game, improving on the previous effort by 1:01.58 (of in-game time) with the use of new zips and improved precision. Every second encode link leads to a camhacked version. 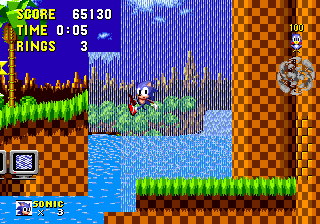 But don't expect the videos where Sonic is visible offscreen to make more sense than the original ones!